Gurgaon is named after the character Dronacharya in Mahabharata. Located in Harayana as a district it is at a distance of 30 kms from Delhi.Gurgoan is not only a major industrial area and it is also the place where most of the offshore companies, corporates, MNCs and reputed educational institutions are located. This place is also known as 'Guru Gram' or 'Guru Gaon'for it is from here Dronacharya imparted spiritual instructions to the Pandavas and the Kauravas. 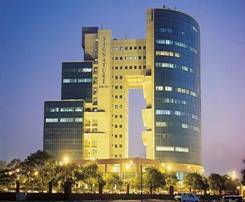 Gurgoan is bounded by the district of Rohtak and the Union Territory of Delhi on its north and by Faridabad in its east. On its south, the district shares boundaries with the states of Uttar Pradesh and Rajasthan. To its west lie the district of Rewari and the State of Rajasthan. It is surrounded on three sides by Haryana and to the east, across the river Yamuna by Uttar Pradesh. Gurgaon is a place which was given by Yudhishtar, the eldest brother among the Pandavas to his guru, Dronacharya as a token of love and respect. Initially it was under the limits of Delhi and Agra which involved the sikars of Delhi, Rewari, Suhar Pahari and Tijara.It was only after the Treaty of Surji Arjungaon with Sindhia in 1803 AD Gurgoan came under the British rule. The town was first occupied by the cavalry unit posted to watch the army of Begum Samru of Sirdhana, whose principal cantonment was in the village Jharsa, 1.5 km. to the south-east of the town. This is a traditional festival of old car rally held in the month of February. The festival of car rally starts in Delhi and goes via Gurgoan and finally reaches Sohna village. This is a national wide recognized festival which was started in the year 1964.In this rally you can get to witness both very old cars and brand new tougher sports cars. This festival attracts major tourist and people from different parts of the country comes to see this mega mela. This is a festival mainly dedicated to Shri Sheetala Mata, during which people visit this temple to offer prayers and pooja to protect them from the deadly diseases of small pox. The festival is also accompanied by a fair known as Masani Fair which is entertained by folk songs, dances, dramas and cultural functions. This temple is also popularly known as Masani Temple or Shakti Peeth.Godesss Sheetala Mata, who is the incarnation of Goddess Durga, is believed to be the God of the disease smallpox. This temple is located at a distance of about half a kilometer from Gurgoan.Each day is visited by number of pilgrims. This magnificent mosque was built by Nawab Aliwardi Khan who is the founder of Aliwardi village. The mosque is one of the very old mosques which is about 200 years old, situated at a distance of about 2km from Gurgoan.Next to the mosque, is the tomb of the founder of Aliwardi Masjid. This place is located at a distance of about 11km from Gurgaon and history says that it is from this milk was supplied to Guru Dronacharya and his ashram and there are also evidences which says that Buddha visited this place. Saiyad is the place where Dronacharya lived with his students and is located at a distance of about 3 kms from Gurgaon.It is on the way to Dharampur Road. 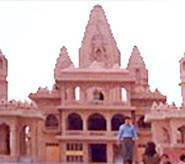 This place at a distance of 5kms from Sohna is the center of art and architecture in the time of Gurjara-Pratiharas. It is situated 13 km east of Nuh on Nuh Hodal Road. It has yielded Painted Grey Ware, early historic wares and late medieval remains. This place is also close to 10 km east of Nuh ands known for a beautiful lake. The mound has yielded Painted Grey Ware and early historic wares. The stone sculptures located at the site represent Varaha and Narsimha of medieval period and Lakshmi of late medieval period are of major tourist attraction. 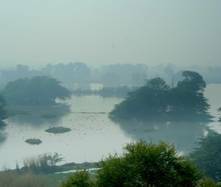 Sultanpur Lake Bird Sanctuary was opened in the year 1972 and it is a place which attracts major crowd especially for bird lovers. Birds from different parts of the world come here. To the benefits of the tourists there is camping equipment like beds, chairs, central tables, lights, stoves to stay over here even in the night. This is place is at a distance of about 42 kms from Delhi. This place is known for its sulphur springs. This spring is situated in a very narrow place whose access is possible only by walk. The water here whose temperature varies from 46°C to 51.7 C is used to cure many skin diseases. The beauty of hot spring is also adorned by colourful flowers, trees and shrubs and beautiful landscapes. 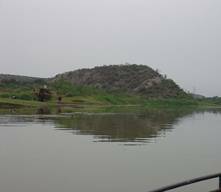 This lake is just a few kilometers South of Gurgaon off Alwar road. There are adventourous sports like boating and hot air ballooning. 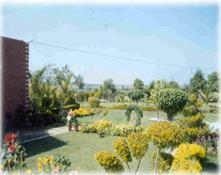 This farm is situated near classic Golf Resort, on the Naurangpur-Tauru Road. Here you can enjoy rustic living, organic food and natural health treatments amidst fresh air. Other entertainments include bonfire, herbal massage, meditation, yoga classes and outdoor games. Malls where starting to get established only after 2003 after which the mall culture sprung like mushrooms.DLF City Center mall was the first to be opened and operated. This mall is closely annexed with MGF Metropolitan which operates with Shoppers Stop and few other stores and restaurants like Mc Donald’s which an instant hit became. Sahara mall, also famous as the Brand Mall was the third one to get functional. The nearest airport is Indira Gandhi International Airport, at New Delhi. The state transport buses connect Gurgaon to neighboring cities with in the state and in neighboring states. Taxis, metered auto-rickshaws, private buses and state buses are available for local transport. The Gurgaon railway station located at western end of the original city connects to Rewari towards the south and Delhi.